Pain in The Back of the Head and Neck – What is it? Posted on August 6, 2018 by Mat A. 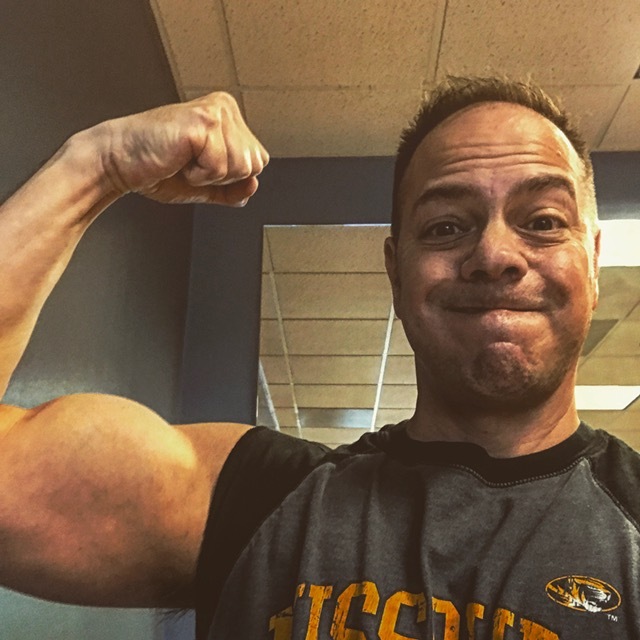 Many moons ago, when my oldest daughter was a baby, I threw my back out while doing squats in the gym. It was so bad that when I was laying down and wanted to get up, I basically had to roll over and flop out of bed. I couldn’t sit up straight, it hurt my back so bad. This was when I discovered the magic of a good chiropractor. I had never been before and after about 6 visits, I was good to go. Until I did the same thing 5 years later then back I went. Over the last several years I have developed an ongoing pain in the back of the head and neck. Over the last decade or so I see a chiropractor from time to time. When I first moved to where I live now I would go every 3 months or so as a maintenance visit. Then after a awhile it was just when something was bothering me. Lately my lower right side of my back has been pinched or tweaked so I went to visit her. After one visit it’s already a lot better but I will go another 3-4 times to get things all the way back to normal. I also asked her about the pain in the back of the head and neck since it’s been rearing it’s ugly head again lately. It doesn’t bother me all the time but enough that it’s on my mind. Anyway, we had a great discussion about what could cause pain in the back of the head and neck. In the event anyone else is bothered by this I wanted to share our discussion. Here are some of the things that can cause this irritating pain in the back of your skull and neck. 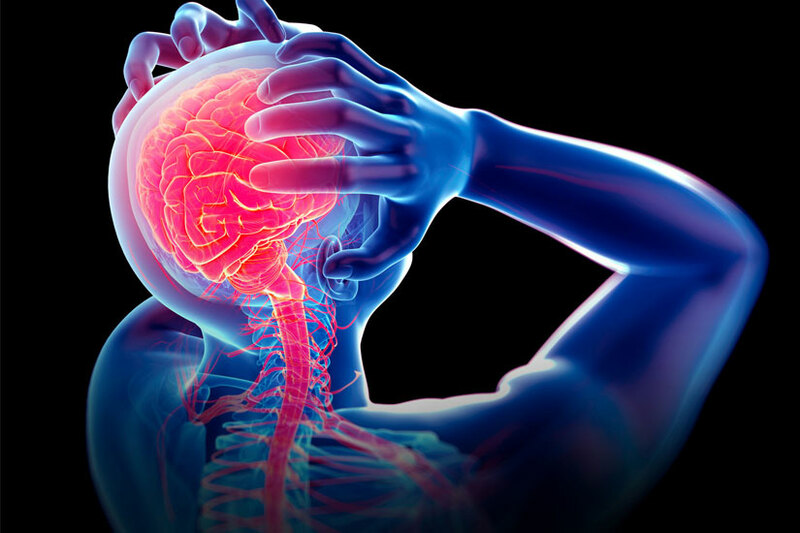 What it is: Migraines are basically a re-occurring headache. Many times they start in childhood but the onset can be at any age. Some people get migraines once a month, others several times a week. They typically aren’t the type of headache we all think about, they are worse. More painful. Symptoms can include dizziness, intense throbbing in a localized area of the head, nausea, and visual disturbance among others. 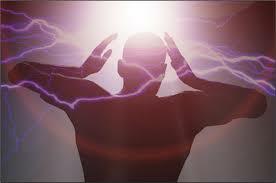 My wife sometimes gets migraine’s and she say in the worse ones she get’s twinkling lights in the side of her vision. They can last for a few hours to several days. What to do: Many times taking an over the counter pain reliever and laying in a darkened room helps. If over the counter drugs don’t help a doctor can prescribe triptans which are anti-migraine prescriptions. These cause blood vessels to contract and shrink which then helps migraine ease up. What it is: Tension headaches are among the most common reasons for pain in the back of the head and neck. Tension headaches can last for short periods such as 30 minutes up to much longer periods such as a week. Typically a tension headache will feel like a tightening around the head with a mild to moderate pain (occasionally severe). With a tension headache there is not any nausea or vomiting. What to do: Taking aspirin or acetaminophen usually does the trick with a tension headache. If you have tension headaches on a regular basis there are alternative strategies for dealing with the pain. Getting more sleep, eating right, and as you might imagine, lowering the stressful things in your life will help. Using cool or warm compresses on your neck and head will sometimes help as well. What it is: Occipital neuralgia is a specific type of pain in the back of the head and neck. It begins at the base of the neck and then spreads up the back of the head and then behind the ears. This type of head and neck ache is due to injury or irritation of the occipital nerves. These nerves run up the neck to the base of your skull. It is caused by neck tension or a wide variety of factors (including some unknown ones). The occipital bone is the bone in the back of your skull that essentially supports your head. This is something my chiropractor worked extensively. Hurts so good. What to do: Occipital neuralgia is easily mistaken for a migraine. The thing that makes it different is the pain that happens when pressure is applied to the back of the skull and neck (like my chiropractor did). Things that help are getting massages, using heat packs, sometimes physical therapy, and taking anti-inflammatory medications. In extreme cases steroid injections or even surgery can be used to help manage pain. What it is: The most common poor posture that leads to pain in the back of the head and neck is forward head and shoulders. Forward head posture is when the head is slanted forward ahead of the shoulders. This forward head posture puts additional strain on the vertebrae of the lower neck. Besides putting additional pressure on the vertebrae long term this posture causes strain on the soft tissues around the neck. What to do: As you might guess the best course of action is to actively work towards correcting your posture. Other things would be having an ergonomically correct setup at work if you use a computer. I recently moved to a new office location and it took my a week to get my computer screens set up right. Mainly because I’ve got a cool new desk that raises and lowers! 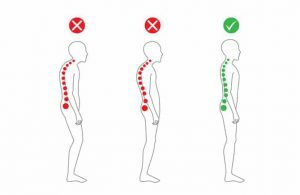 Having poor posture is something that affects many people. It’s not that hard to correct but it takes work and ongoing effort. What it is: Injuries that cause pain in the back of the head and neck can come from a wide variety of places. One of the most common one is getting rear ended in your car. The main reason this winds up hurting your neck and potentially the back of your head is that it is unexpected. You get rear ended, even softly, and your torso gets thrust forward. 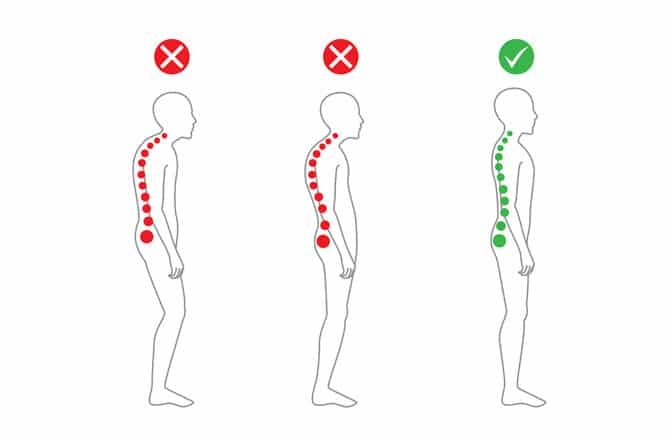 Your neck follows just after but not before it’s been hyper extended, most likely for the first time. Ouch, no wonder your neck hurts afterwards. What to do: Many times it can take several days before the pain begins to affect you. The best course of action is to see a doctor or a chiropractor soon after to get it checked out. Staying in front of it is key to a speedy recovery. Getting several massages will help you feel better also. See your doctor or a chiropractor initially to get assessed. One of the following is happening along WITH the previous 2 – you are over 55 or under 20, painful to light “tapping”, weight loss, severe ongoing headache, extreme stiffness, numbness or distinct pain in one spot, and/or signs of tingling or numbness in another part of your body. 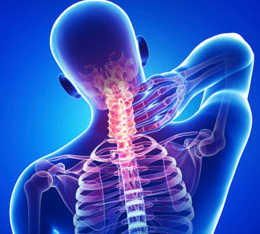 We’ve taken a look at the more common causes of pain in the back of the head and neck. In my case the primary culprit is the way I hold my head (poor posture) along with some occipital neuralgia which is most likely caused by my not so great posture. Or the fact that I like to work out my trapezius muscles on a regular basis. Could be that I spend 8-10 hours a day hunched over a keyboard starting at a computer screen. Could be that I’m not exactly a spring chicken anymore. The important thing is now we know more about potential causes of pain in the back of the head and neck. If this is something that bothers your occasionally or even constantly, probably time to do something about it. As we all know, health is everything. Take care of the back of your big ol’ noggin. Thank you for this informative post aboutpain on the back of the head and neck! I knew some of them such as migraine, because a friend of mine suffers a lot from it. However, I wasn’t aware that weight loss could also be a cause! Do you mean that weight loss could cause pain in any case or only when it’s very quick? Also, I commend you for writing a post to help people wth their daily predicament and because you remind us the importance of having a good posture. Keep up the good job! Thanks for the comment! I actually know a fair amount of people who have migraines, including my wife and one of my daughters. Thankfully they aren’t too bad. Weight loss is not actually a cause. If you have weight loss WITH a pain that’s lasted for 6 weeks as well as the pain being severe and not getting better, then it’s definitely time to get to a doctor! Thanks for the post Mat! I recently had a foot injury that required surgery and walking in a boot for months! Little did I know that I was creating muscle imbalances that led to poor posture and intense neck pain as well as headaches! I never knew they were related! Great info and I hope this reaches people who need it like I did! Sorry to hear about your foot. When I first went to the chiropractor I was amazed and how imbalances affects our bodies. I had a numbness on the top of my left foot that was caused by a pinched part of my lower right back. How strange is that! Thanks for the note, Mat.